Apostolos Mission International is proudly continuing the legacy of world evangelization as established by American missiologist, Ralph D. Winter. Ralph D. Winter was an accomplished missiologist and missionary who opened a new paradigm regarding the role of churches, mission structures, and outreach among unreached people groups. His strategies and approach to mission were a watershed transition that opened the door for the world to know the Gospel. Winter aimed to overcome cultural and linguistic hurdles in world mission so that all people could hear the truth. Winter was recognized by many because of his influence in world mission strategies. He was even acknowledged by Time magazine in 2005 as being one of the 25 Most Influential Evangelicals in America. Overall, Winter was a man who was praised for his creative approach in mission according to the world they were in. He was a revolutionary thinker who continually worked hard to foresee the best strategy that best fit the scene. AM International was blessed to have Winter serve as the organization’s first chairman and received his blessing to embody the same heart, creativity, and passion for world missions. 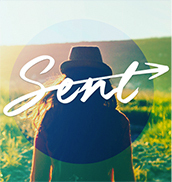 As the ones who are “sent,” AM desires to fuel the heart of the youth with a drive for sharing the Word. Their dream is to give hope to those who are weary and burdened. May AM deliver the Gospel, sharing the freedom that only the truth can bring.